Across Ayrshire’s pleasant green countryside one can find the remains of old abandoned communities—places where at sometime or other people lived, worked hard and played. 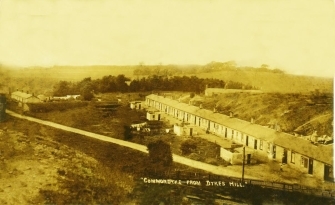 These villages were often established near to where work was to be found, often in coalmines, and as a result could be found in the most remote and obscure places. 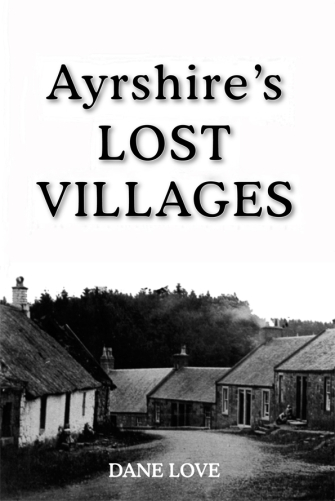 Well known lost communities include Glenbuck and Lethanhill, but this book contains almost fifty others, including Loudounkirk, Old Rome, Fergushill, Beoch and Trabboch. Life in the villages, which varied from single rows of thatched cottages to larger communities such as Darnconner, which had a population of 1,200 at one time, was often hard. Mineworkers could only buy their provisions from the company store, and wives often waited each day to make sure their husbands returned home from their day’s work underground. This book ensures that the story of these lost communities is not forgotten. Details of the communities are included, as well as tales from the rows, accounts of struggles endured and references to some famous sons. Villages included are: Alton, Annicklodge, Barleith, Bartonholm, Benquhat, Beoch, Borestone, Burnbrae, Burnfoothill, Byrehill, Cairntable, Carsehead, Coalburn, Commondyke, Craigbank, Craighall, Craigmark, Darnconner, Doura, Drumsmudden, Ellerslie, Fardalehill, Fergushill, Garrallan, Gasswater, Glenbuck, Glengyron, Glenlogan, Grievehill, Hagsthorn, Kerse, Kersland, Knockshoggle, Knowehead, Lethanhill, Loudounkirk, Meadowside, Montgarswood Bridgend, Mosshouse, Neiphill, Old Rome, Pennyvenie, Sourlie, Southhook, Swinlees, Tarholm, Thornton, Tongue Bridge, Trabboch & Woodside.